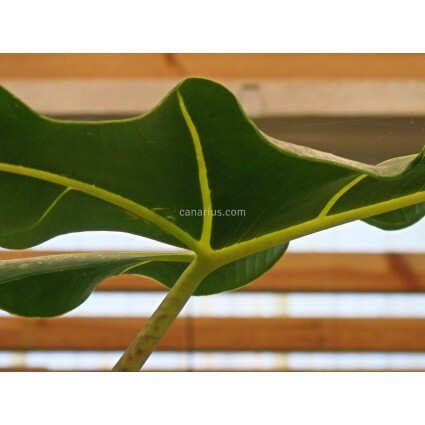 This extremely beautiful hybrid was developed by crossing Alocasia zebrina and Alocasia micholitziana . 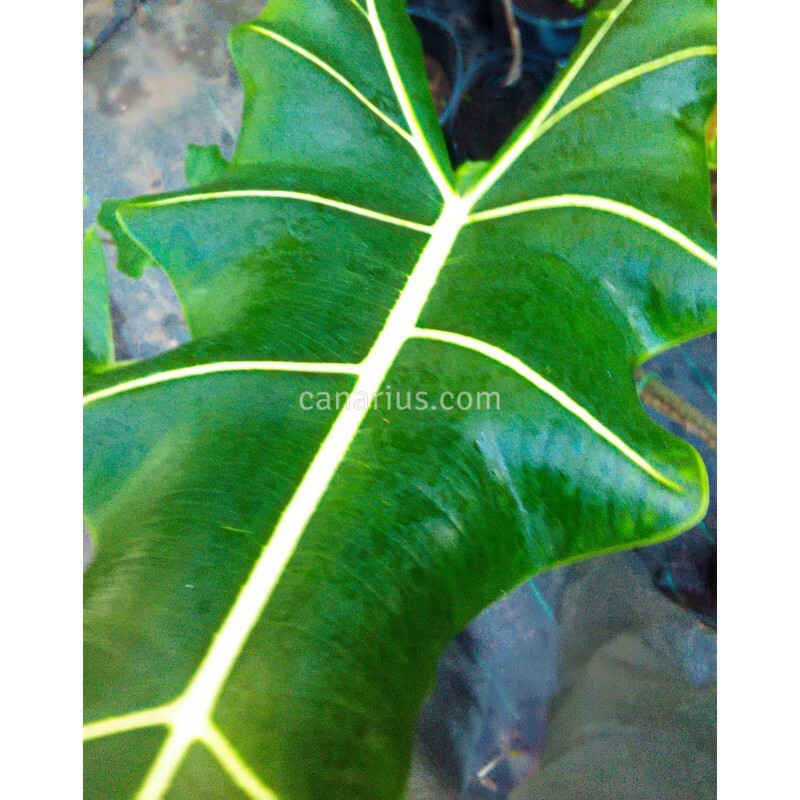 This extremely beautiful hybrid was developed by crossing Alocasia zebrina and Alocasia micholitziana. 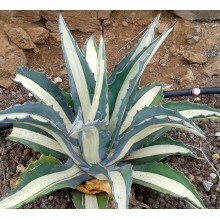 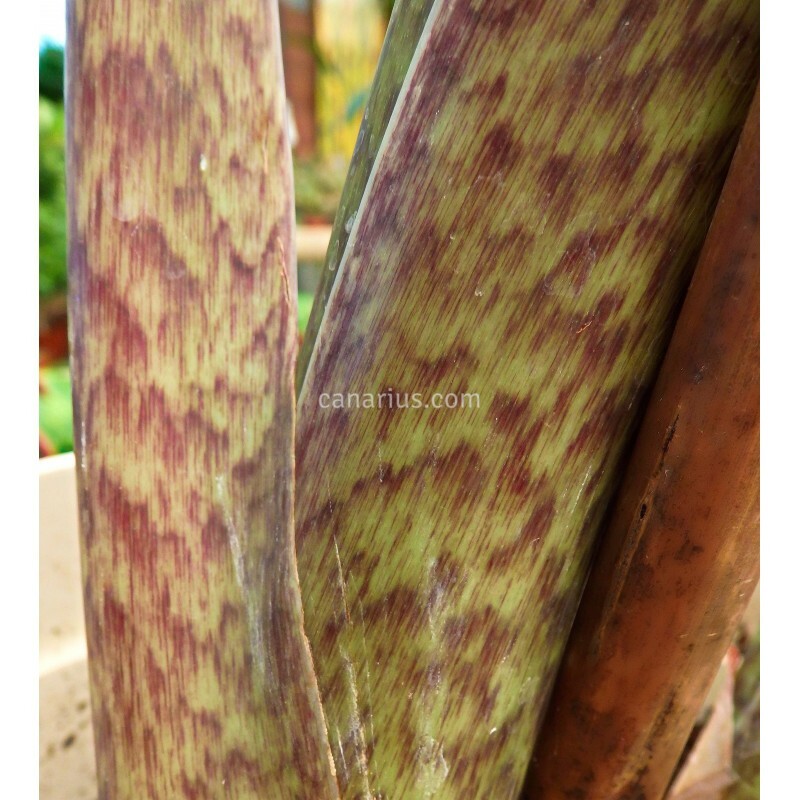 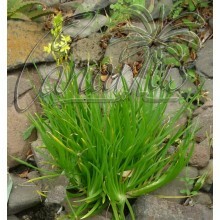 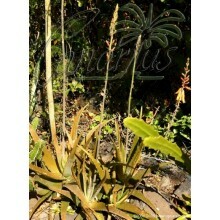 It develops "african mask" leaves, held on upright striped stalks. 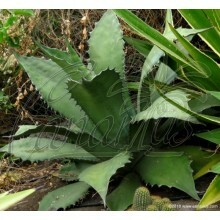 It can be easily grown as a house plant and it gets quite large, up to 2 meters in height, or a bit more.